Los Angeles-based singer/songwriter Elohim crafts electronic pop veiled in mystery that puts the focus on her music. Finding artistic freedom in anonymity, the artist keeps her face hidden, masks her voice in interviews, and keeps all but a few personal details to herself, like the fact that she began playing piano at the age of five and started singing at nine. Influenced in equal measure by Rachmaninov and Debussy as Radiohead and Björk, Elohim’s resulting output is hook-savvy, hip-hop-influenced synth pop in the vein of Lorde and Grimes. Making her debut in 2015, Elohim released the singles “She Talks Too Much” and “Xanax,” both of which appeared on her debut EP, Elohim. “Hallucinating” followed in 2016, marking a shift in sound that expanded her sonic palette by including horns and even a mariachi flair. 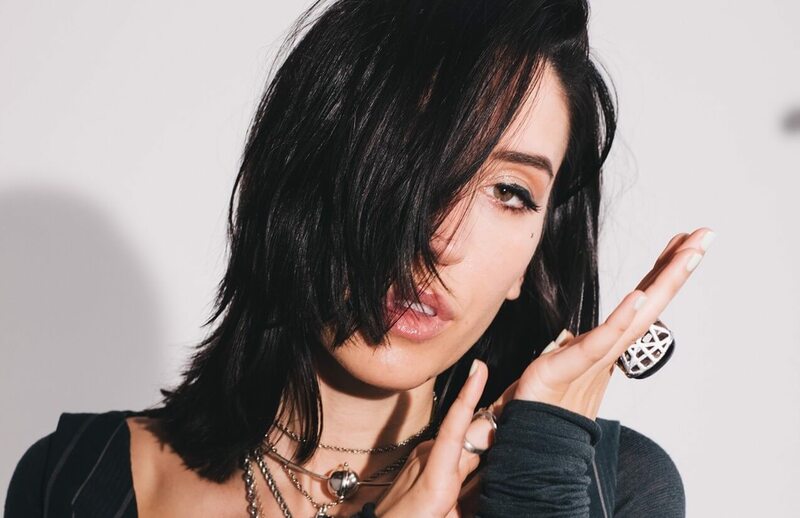 In 2017, Elohim released the singles “Skinny Legs” and “Sleepy Eyes,” a collaboration with Whethan.